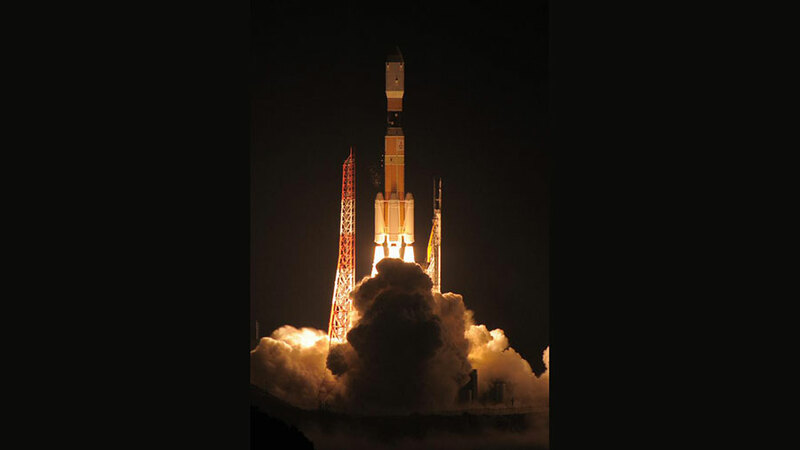 A new Japanese cargo ship is on its way to the International Space Station after a successful launch from southern Japan. Meanwhile, the Expedition 44 crew was conducting more vision and physics research. The fifth “Kounotori” H-II Transfer Vehicle (HTV-5) from the Japan Aerospace Exploration Agency launched Wednesday morning on a five-day trip to the station. It is delivering more than 9,500 pounds of research and supplies for the six-person station crew. The Expedition 44 crew conducted more eye checks for the Ocular Health study which observes microgravity’s long term effects on an astronaut’s vision. NASA astronaut Scott Kelly booted up a pair of micro-satellites for the SPHERES-Vertigo experiment that studies 3D visual inspection and navigation techniques. Back on Earth at the Baikonur Cosmodrome in Kazakhstan, three new Soyuz taxi crew members tried on their Sokol spacesuits and checked their Soyuz systems. They will wear the spacesuits when they launch Sept. 2 on the Soyuz TMA-18M spacecraft for a ten day mission to the orbital laboratory. Good day , I follow cmd Kelly on twitter and just love the interaction, especially when I think where he is right now. They have just sent a photo of lightning from space. All this time i forgot about delivery craft good luck . and then turned into water by temperature gap. So the planets are solid body of those.